Vauxhall Corsa SE Specification includes: Front and Rear Parking Distance Sensors. Heated Front Seats. Heated Leather Steering Wheel. Intellilink Colour Touchscreen incorporating Bluetooth Phone Connection and Audio Streaming and Digital (DAB) Radio. 16-inch Multi Spoke Alloy Wheels. HIRE PURCHASE REPRESENTATIVE EXAMPLE: Cash Price £9685-00. Deposit/Part Exchange £200-00. Total Amount of Credit £9485-00. Purchase Fee (included in the Final Payment) £10-00. Credit Facility Fee £0-00. Total Amount Payable £11993-00. Initial Payment £196-55. 58 Monthly Payments £196-55. Final Payment £196-55. Duration of Agreement 60 Months. Representative APR 9.3%. Interest Rate (Fixed) 8.90%. 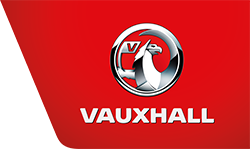 Vehicle History: We have procured this ultra-low mileage example directly from Motability, which means it boasts a FULL VAUXHALL SERVICE HISTORY. It is under manufacturer warranty until 29 June 2020. Annual road tax is £145. This high-spec model looks dazzling in the Persian Blue metallic, with the contrasting grey part-Morrocana interior extremely inviting and comfortable. Further Specification Information: Automatic Headlights. Rain Sensitive Windscreen Wipers. Cruise Control with Speed Limiter. Multi Function Trip Computer. City Steering Function. USB and 12v Power Sockets in Centre Console. Cup Holder in Centre Console. Air Conditioning with Air Recirculation Facility. LED Daytime Running Lights. Front Fog Lights. Tinted Glass. Power Steering. Electric Front Windows. Electric Door Mirrors. Remote Central Deadlocking. Factory Immobiliser. Height Adjustment to Driver Seat. Reach/Rake Adjustment to Steering Column. Driver/Passenger/Side/Curtain Air Bags. Anti Locking Braking (ABS). ISOFIX Child Seat Mountings to Outer Rear Seats. Electronic Stability Programme (ESP). Tyre Pressure Monitor. Front and Rear Headrests. 3 x 3-point Rear Seatbelts. 60/40 Split Rear Seatback. Colour Coded Exterior. 5-speed Manual Gearbox.